Allegedly, rains and deluge the likes of which man hasn't seen since the days of the New Testament will rage against these parts any moment now. And who says you can't be drenched AND stylish simultaneously? These are probably THE most comfy boots my feet have been ensconced in. 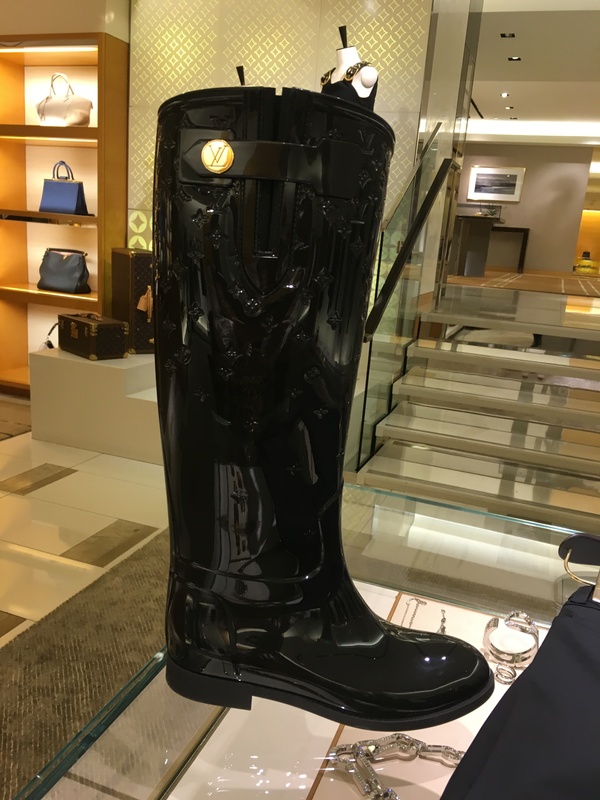 And though galoshes, these gorgeous iteration of a riding boot masquerade quite well as REAL boots! 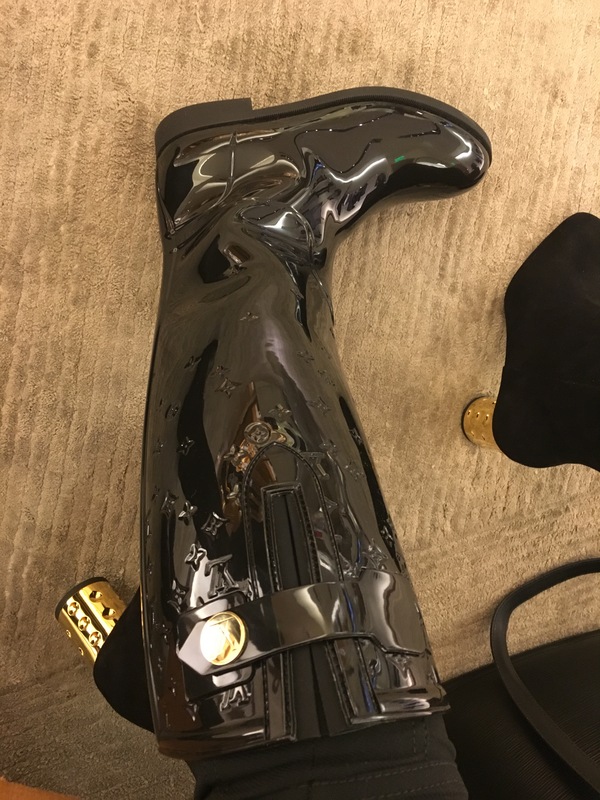 As in you can throw these on at the first glimpse of condensation, but tool around in them without reticence once the sun appears. Think of these for travels abroad....in misty climates....such as London! Pair with leggings, jodhpurs, and any little black dress. 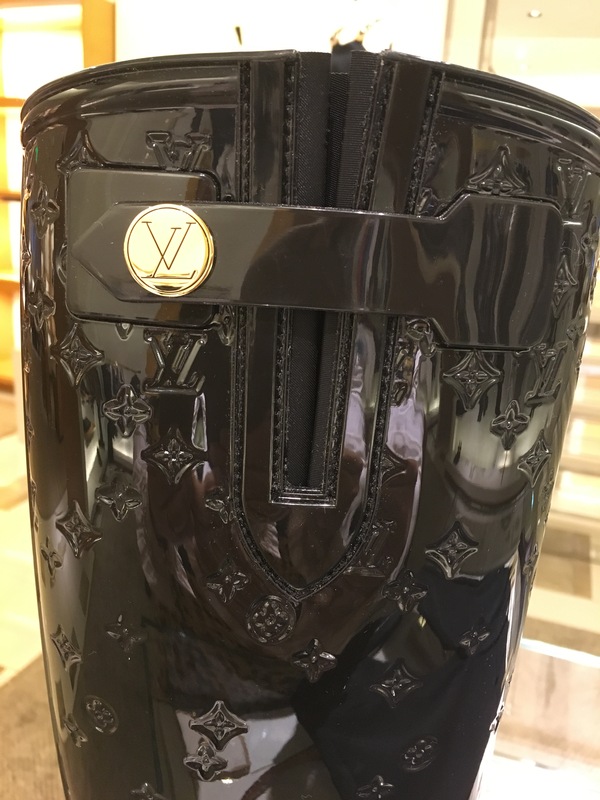 RUN do not walk to Louis Vuitton, these will not last long!